JFB has played many amazing festivals, clubs, venues & parties such as 'Big Beach Boutique 2008' in Brighton, a regular favorite at Rob Da Bank's Bestival, plus other festivals like... LoveBox, BigBeach Festival in Japan, E4's Underbelly, Secret Garden Party, Big Chill, Beach Break, Greenman, Sunrise, Glade, Eden, Balter, Symmetry, Lindisfarne, Valleyfest, not to mention Glastonbury Hell Stage Shangri-La, Boomtown’s newest stage Banghai Palace and Ghetto Funk’s own festival Shindig. He has also performed at International festivals like Shambhala (Canada), Rabbits Eat Lettuce & Rainbow Serpent (Australia) and Wicked Summer Fest (Italy). On the corporate side, he was seen scratching throughout the London 2012 OLYMPICS in the BMX arena and video scratched for the UK NFL Fan Rally in Trafalgar Square. In conclusion, if you let JFB loose on a pair of turntables and a mixer, he will make sure your party goes off with a double bang...producing mind blowing results that are just jaw-dropping! DJ Psycho, Real Name Tariq Azam is a versatile DJ having started off in his bedroom in East London with his first pair of decks when he was just 14. He was a real Hip Hop fan when he was growing up liking Public Enemy, KRS1, Run DMC and the Beastie Boys et al. When he reached his early teens the Acid House and Hard-core scenes were in fruition and he became well known in the underground squat parties around the East End of London as a DJ. DJ Psycho, through a friend’s sister was introduced to the Production House Records Crew at about the same time and a lifelong friendship begun with some of the Artists on the label such as DMS, The House Crew and X-Static and he regularly attended events and gigs with the Production House Crew and was around for the production of some of their classics. DJ Psycho has played on some of the leading pirate radio stations in London including Axe FM and Fantasy FM. Additionally, he was part of the infamous Outcry Syndicate, played at the OTT parties and London Overground parties which brought warehouse parties back into the fold in the UK after the Criminal Justice Act. He has played extensively in the UK, West Indies, Australia and Vietnam. DJ Psycho plays a variety of styles depending on the promoter Hip Hop, Drum and Bass and Deep House are the main genres he plays and he has an ability to get the crowd moving. He has played at some of the best venues in London including Scala, Bagley’s Film Studios, 491 Gallery, 291 Gallery and 333 amongst others. Additionally he plays at many venues in Vietnam including Piu Piu, Basement, Indika, Cargo Remote Beach Festival, Pogo Beach Club, Dragon Beach and others. Funk, Soul, Disco, 80”s, 90’s, 00’s, House, Dance, Electronic, Latin, Salsa, Merengue, Bachata, Reggaeton and Electro Latin. J’s DJ’ing journey began in 1989 in his hometown of Vancouver spinning at house parties and later Vancouver’s top clubs. In 2003 he moved to Asia and since then has headlined events and been resident in some of Asia’s top clubs like The Nature (Tokyo), Luxy (Taipei) or Bed Supperclub (Bangkok). Also a Turntablist and Battle DJ he placed 5th in the DMC Taiwan DJ Championships 2005. 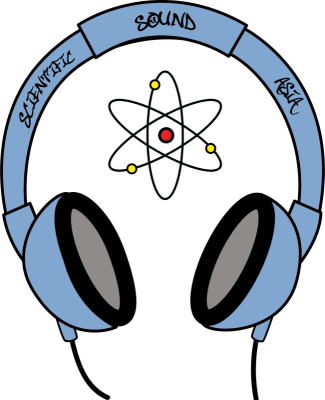 J has shared the stage with legends of Hip Hop such as DJ Jazzy Jeff, DJ Cash Money, DJ Qbert, DJ IE Merge and many more. J is currently one half the Hip Hop duo of Swing Master J & Emcee K (Vietnam). J has also been the Tour DJ for rappers MC Fox (USA), MC Finesse (USA), MC Gaweed (Taiwan) and MC Davi (Taiwan). 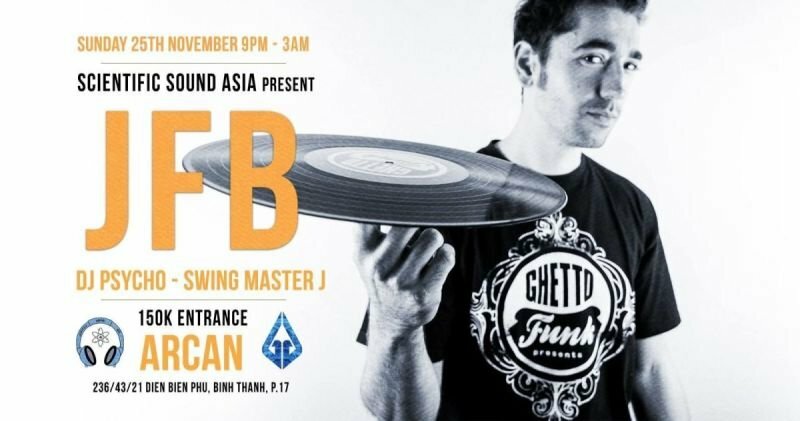 Swing Master J always uses Turntables and his ability to get the crowd going is well known in the Music community, he plays regular sets in some of the best venues around Vietnam including Piu Piu, Basement and for Scientific Sound Saigon and his own nights at Bars around the city. A seasoned veteran with near 30 years’ experience, one of the top party rocking DJ’s in the industry and one of the most influential artists in the world, Swing Master J takes the crowd on a musical journey of time, genre and culture.